Our family (2 adults, 3 kids (9, 7, 5) has a day-long stopover in Hong Kong (arrive at the International Airport at 7:20am and then flight out at 6:10pm). I'm wondering if we have enough time to go to Ocean Park. Could you please let me know how we would get there (by taxi and by public transport), how long each option would take, and how much it would cost? If we don't have enough time, can anyone suggest anything else easy that would be great to do with kids for the day. We'll be pretty tired and I don't think they'll be into markets or shopping unfortunately. How to get to Ocean City from Hong Kong International Airport? and how much the ticket for the ocean park....thanks. Please, find all answers to your questions and more information on this Hong Kong page. Helloo.. me and my frnd long tym stopover in HKIA 2:25pm untill 10:05 pm..and I want to go OCean park ..I will assk to u if the tym not conflct bcoz its onli 7hrs onli we will stay..thnksss !!! We are booked for a HK trip on Feb 2015 for 3 days, 2 nights. I am with my husband and two kids, ages 6 and 1. We will arrive on Sunday, 7:05am and will depart HK at 9:10pm on the 3rd day. using MRT in hongkong is the best to go anywhere..
1. How can I go to Oceanpark from HongKong InternAtional airport? 2.CAN you suggest any hotels that are near to all tourist attraction? 3. I would like to know if my hongkong macau schedule is ok for 3 days. Sheraton Hong Kong Hotel & Towers is a 5-star hotel located at 20 Nathan Road, Hong Kong. 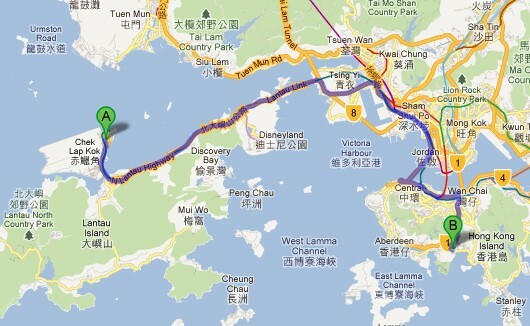 A taxi to/from the hotel and Ocean Park will take about 20 minutes drive @ HK$100. No need to worry for a taxi at Ocean Park, there's always a taxi available upon exit at the park. this is my first time to travel. i will bring my 3 kids to ocean park on Sunday. how much does it cost to go to ocean park from Sheraton hotel at Kowloon? from ocean park, will i easily find a taxi so we can go back to our hotel? are taxis easy to find from ocean park, how much is the fare? i am bringing 3 kids and i want it to be comfortable tour at ocean park, taxi will not fool me overprice fare. please advise, i prefer taxi than bus. thanks!!! I've been in HK Disneyland for whole day and another whole day in Ocean Park. I highly recommend Ocean Park, it is just simply better than Disneyland. Here's my itinerary suggestion to maximized your time in your Hong Kong trip. Nov 15: Airport --> hotel --> Ngong Ping 360 to reach the Giant Buddha. Actually, you can check out at the hotel early in the morning and stow your luggage at Disneyland and then go straight to HK airport by taxi at around 6:00pm. Here's to read about Novotel hotel location and travel instruction in getting to HK attractions. Upon arrival at Hong Kong - Macau Ferry Terminal at Sheung Wan, take a short walk to the Central Pier --> Take the bus CTB 629 (bus stop is just located outside Central Pier 6) to Ocean Park entrance (30 minutes bus trip @ HK$10.6). Bus hours is from 9:00am to 4:00pm at 10 minutes interval. Or, you may consider a taxi straight from the ferry terminal to Ocean Park. It will take about 20 mins drive @ HK$90. Both places are located at Hong Kong island. YES, there are luggage lockers at Ocean Park available for rentals. Getting to HK airport from Ocean Park, please scroll up to this page (post dated Sep 23, 2010) to read travel option and may follow one among that in reverse order. Hello. We plan to go to HK on Nov, 15-17, 2012. (10 adults, 3 children, 3 toddlers, and 1 infant). Our flight will be arrive eta 2.30 pm and we wil leave etd 7 pm. We will stay in novotel hotel. We want to visit disneyland, ocean park, the peak, and giant buddha. Hi! My family will be in hongkong from Macau this nov 21. I just want to know how to get to ocean park from the macau-hongkong ferry terminal then from ocean park to airport? we have 8 hrs before the flight going home and we want to spend that time at the ocean park. One question also is if the ocean park has luggage valet where we can leave our luggages similar to that of the disneyland. Here's my itinerary suggestion to maximize your time in your HK trip. Oct 12. You can go straight to Disneyland from HK airport by taxi (about 25 mins @ HK$130). Any taxi can only accommodate up to 5 persons maximum. From Disneyland, just go straight to Tsim Sha Tsui area by TMR train (39 mins @ HK$17.9) and I suggest you take exit D1 or D2 to get some budget hotel room Mirador Mansions or you may try our suggested 3-star hotels around TST. Oct 13. Ocean Park. Actually, there's no need to stay close to Ocean Park as it is very accessible from Tsim Sha Tsui (Mirador to Ocean Park) thru MTR train then bus for about 30 to 40 mins. Oct 14. Shopping around TST and then proceed to Citygate Outlets at Lantau Island for final shopping before taking a short taxi drive back to HK airport for your departure. hello! we're planning to go to HK on oct 12-14, 2012. Thank you so much for sharing to us your Hong Kong travel experience. It helps a lot of people specially for future HK visitors. The getting there instruction from HKIA to Ocean Park that you mentioned is also very helpful. I'm the one who went to HK in early May in the last comment. We decided instead of going to the gardens to instead go to "Hong Kong Park" right next to Admiralty station since its directly on the way. It was a good decision and the park was very nice. We spent an hour or two there then the rest of the day at Ocean Park. It turned out to be about the perfect amount of time for each. Ocean Park wasn't nearly as crowded as I imagined (compared to parks in the US) so the lines were short. The rides aren't very impressive but I'm a bit spoiled growing up near one of the best roller coaster parks in the world (Cedar Point). Hong Kong overall was beautiful. Very, very clean and the people were very polite. We intend to return for a longer visit. A11 bus to Admiralty station, then the 629 bus directly to the park. Ocean Park tickets were sold at the bus stop and the line was very short. On the way back we took the 629 back to Admiralty and then the E11 to the airport. Paid with the Octopus card and everything went smoothly. My only complaint was the food at Ocean Park was mediocre at best and vastly overpriced...but overall it was a good time. In early May we will be going to HK for the day. Since our flight arrives at 1am we will just stay in the airport until morning then we plan on going to Nan Lian garden (is it worth the time to go there?) by either mtr or bus. We plan on staying there an hour or two in early morning before Ocean Park opens. We then plan on spending the rest of the day in Ocean Park. I'm curious what the best way of getting FROM Ocean Park to the airport is. I see a lot of directions showing you how to get to Ocean Park but not many FROM Ocean Park. Which route do you recommend? Btw the day will be a Friday. Any advice you can offer would be helpful since we are on a short schedule and our flight leaves at midnight the same day. Hi Ryan, I think both parks are fine but I think Ocean Park is lot more fun and educational. But yes, considering your time, you can explore more in Disneyland. Also, I would recommend you read this topic for our itinerary suggestions for short time stay in Hong Kong. I think it is very doable in you time. The fastest way to travel from HKIA to Ocean Park is by taking a taxi for about 50 minutes drive @ HK$350, you could get to Ocean Park before 3:00pm and the park is still open until 7:00pm. And there's nothing to worry about getting back to HK airport as taxis are always available in HK 24 hrs. Here's a detailed instruction and travel options in getting to Ocean Park from HK airport. Me and my wife will have a long stopover in Hong Kong (arrived at the international airport at 13:25 and then flight out the following day at 8:50 am). I’m wondering if we have enough time and maximize to visit ocean park and maximized the time until it will be closet and back to the airport. can we still go back to the airport at late night? *get to ngong ping early in the morning to start your disney tour at noon. Hi, My husband and I along with our 2 kids (6 and 10) are staying in Hongkong for three days. We plan to go to disneyland, ocean park, victoria peak, Ngong Ping 360 and Macau. Is it possible to visit all these? We will be staying in BP International. On our first day, we plan to go to Macau first. On our second day, we are still undecided which between disneyland or ocean park to visit. Since our flight on our third day is at 5 pm, is it better to visit disneyland or ocean park on that day? I am having a hard time deciding which between the two is easier to tour (less time). Considering your group and to save your time, I would suggest you take a taxi from HK airport straight to Ocean Park. It takes about 40 - 45 minutes drive @ about HK$330. Hopefully, you'll arrive at Ocean Park before 12:00 noon which is still enough time to explore the park until 5:00pm or 6:00pm. Once you arrive at Ocean Park, I suggest you proceed right away to the "Headland" attractions by taking the cable car to get a change to see the dolphin show that usually starts at 1:00pm and then later back to "Lowland" attractions to get a change to see the Giant Panda. My family (2 adults and 2 children) will be reaching HKG Int'l airport at 9.20 am and would like to visit the Ocean Park for the day. Is it ok, will i have sufficient time, as in by the time, we come out of the airport it will be 11 am. So, I would like to know how much time it would take me to reach ocean world and what should be my mode of conveyance (taxi/bus) and what would be the fare? Can ocean world be covered in 1/2 day. My focus is mostly on water front and the cable ride to up, the dolphin upstairs. Pls guide. Hong Kong Disneyland Hotel is rated 5-star hotel located at Hong Kong Disneyland, Lantau Island, Hong Kong. Take the hotel free shuttle bus (bus service hours: 6:00am to 1:00am) to the Disneyland Resort Public Transport Interchange (PTI) --> walk to the nearby Disneyland Resort MTR station --> take the trains to Sunny Bay station --> interchange trains to the Tung Chung Line and get off at Hong Kong station --> walk to the adjacent Central station --> take the Island Line train and get off at Admiralty station then take Exit B (travel time is 39 minutes @ HK$21.7) --> upon exit, get into the bus CTB 629 that will bring your straight to Ocean Park entrance (25 minutes @ HK$10.6). Children below 12 yrs. old are half fare. hi there. we are a family of 5 adults and 3 kids. we will be staying at Disneyland hotel for 4 days and we would like to visit ocean park. would you give us any tips how to get to ocean park from the hotel and which would be cheaper for us. this is our first time in hk and not so familiar with the local transportation. i hope you can help us out since we are scheduled to leave on the 26th of this month. patiently waiting for your reply. thank you. HKIA is situated at the reclaimed area at Chek Lap Kok adjacent to Lantau Island where as the Ocean Park is located in northern part of Hong Kong island. The distance is about 44 kilometers for about 45 minutes drive. Please scroll up to read options in getting to Ocean Park from HK airport. * HK Layover itineraries, please click here to read more details. hello, my name is hilal and i was just wondering about ocean park, yes i am going to turkey but my first stop is to hongkong and i am going to stay at hongkong for 8 hours. i was just wondering if i would have enough time to go to ocean park and is ocean park close to the airport. Before I can give to you the specific route details in getting to Ocean Park. It is important that first I need to know the specific location of starting point or from where you're staying at. I assume that you wanted to know how to get to Ocean Park from your hotel then I need to know the hotel name. Our family (5 adults:46,46,25,24,18 y.o) has a 3 day stay in Hong Kong (arrive at the International Airport at 7:40am ) I'm wondering if we have enough time to go to Ocean Park. Thank you so much for this terrific advice - you've made it so easy for us! Looking forward to our stopover already. Re: Hong Kong Airport to Ocean Park. I think your time is a little bit short but you can cover almost all the park's main attractions as you should be there already when the park open at 9:00 in the morning and then you can get back to the airport around 4:00 pm. Option 1) By TAXI (recommended). When you get into the Arrival Hall at Hong Kong international airport, the taxi stand is in the left side (right side for bus) upon exit or see and follow directional signs. Take the taxi (2 adults + 3 kids is fine) going straight to Ocean park for about 40 to 45 minutes, HK$300 taxi fare. Take the RED taxi, they will serve all destinations throughout Hong Kong, BLUE taxi is serving for all destinations in Lantau and the airport only, and GREEN taxi is only for New Territories and specific roads in Lantau island. Option 2) By Airport Express Trains then Taxi. Take the Airport Express trains that will take you directly to the Hong Kong island (Hong Kong station) about 24 minutes, HK$100 / person. Then take a taxi to Ocean Park around 15 minutes, HK$80. Options 3) By BUS (not recommended). There's no bus direct route for Ocean Park. You need to take the Bus (Citybus) N11 that brings you to Admiralty station, Hong Kong island for about an hour travel, HK$31. Then the bus that brings you to the park is a special express BUS (Citybus) 629 that can be found at Admiralty MTR station Exit B (or at bus terminus in Central Star Ferry), HK$10.6 about 25 minutes travel time straight to the park. Other Hong Kong attractions that we can recommend for your stop over time in Hong Kong is the Hong Kong Disneyland which is in the same island with the airport. It will only take about 25 minutes from HKIA or see here for detailed information in getting there. Hope you enjoy your short stay in Hong Kong and make the most of it.